It’s time to treat yourself to what Santa may have forgotten to leave under the tree. Get new cookie sheets and baking pans to bake up a storm in the new year! Take a look at all your options. 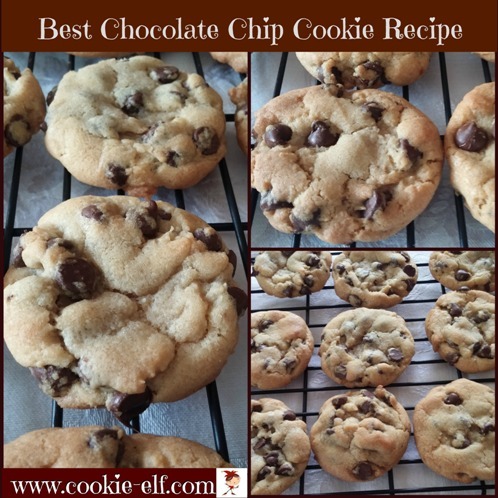 If you bake nothing else this year, be sure to try the BEST Chocolate Chip Cookie Recipe - a reader favorite. It’s not the standard chocolate chip cookie recipe on the back of Toll House Drop packages. And it’s hard to say what makes this recipe so popular. Maybe it’s the extra chocolate chips. Or the tweaked proportions of granulated sugar and brown sugar. Whatever! Just make sure you try it once this year. Preferably soon. And let us know how your Best Chocolate Chip Cookies (or other first cookies of 2016) turn out. Post your pics on our Facebook page so that other cookie elves can be inspired! Get the full recipe for BEST Chocolate Chip Cookies … and check out our Chocolate Chip Cookies Pinterest board for more easy chocolate chip cookie recipes you can try this year. Bake Cookies and Save Money! Buy these cookie ingredients in bulk and save money.